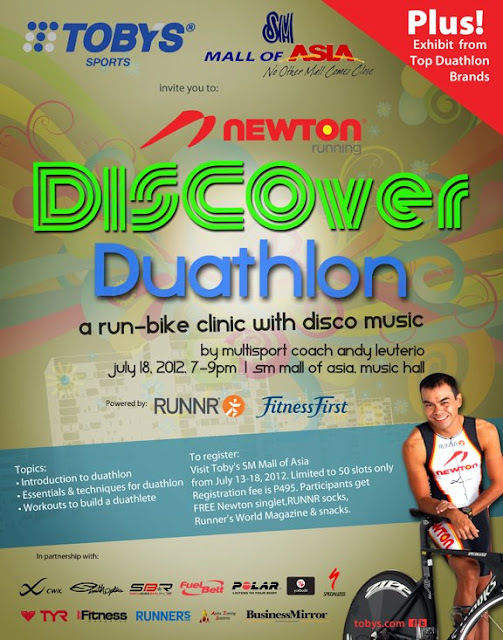 Last July18, 2012, Newton launched the DISCOVER DUATHLON CLINIC at Music Hall of SM Mall of Asia. 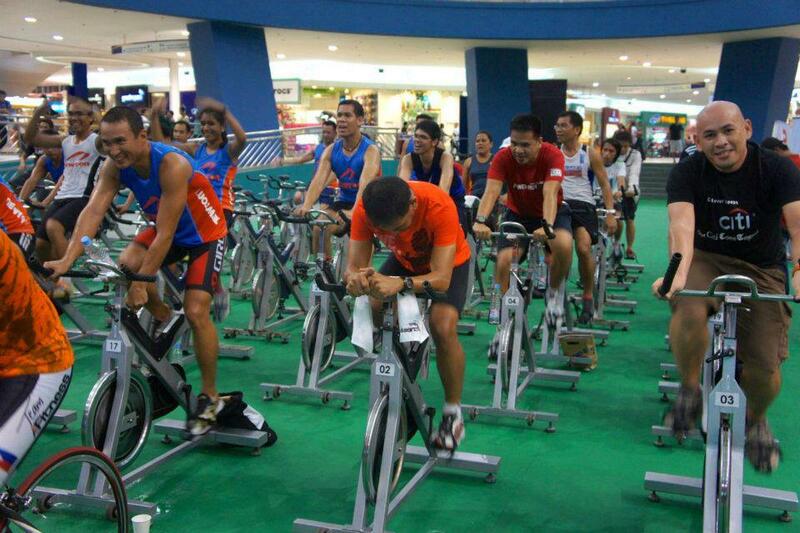 Participants learned the Essentials of Running and Cycling by Multisporsts Andy Leuterio. 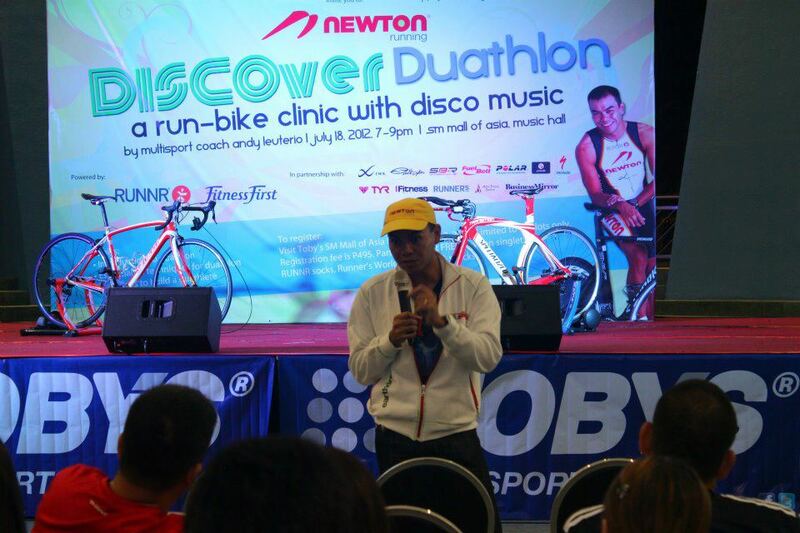 It was a run-bike Clinic with Disco Music. 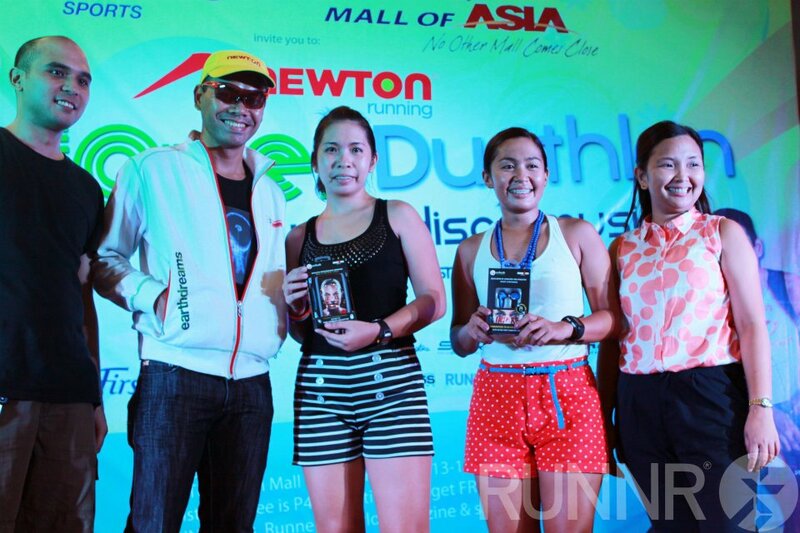 I was invited by Mam Christine Majadillas together with my Teammates from Team Runnr Academy, Asst. 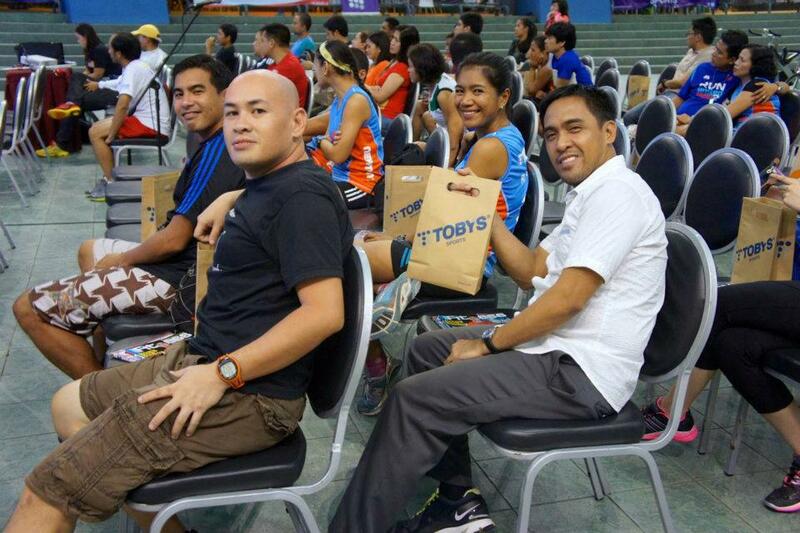 Coach Bob Tolete and Coach Mherlz Lumagbas, I also invited 3 pacers to help assist some of the participants. 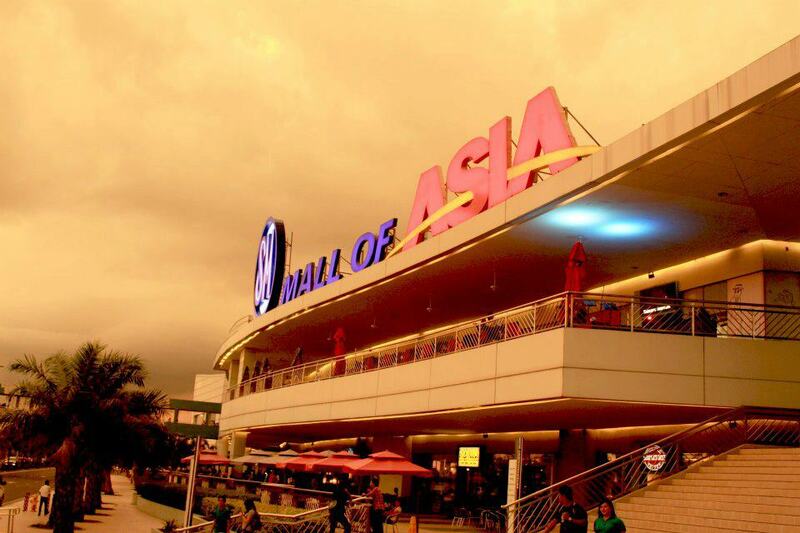 People line up for the registration. The Registration fee is P495.00 but that includes Free Newton Singlet, Runnr Socks, Runners World Magazines and Snacks. 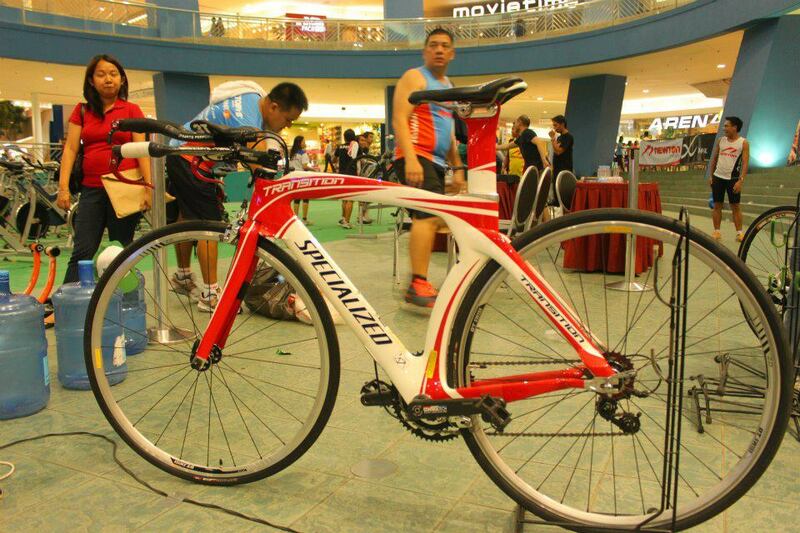 Oh well, not so bad for all that freebies for a cheap registration. And it was only limited to 50slots. So it was a first come first serve basis. 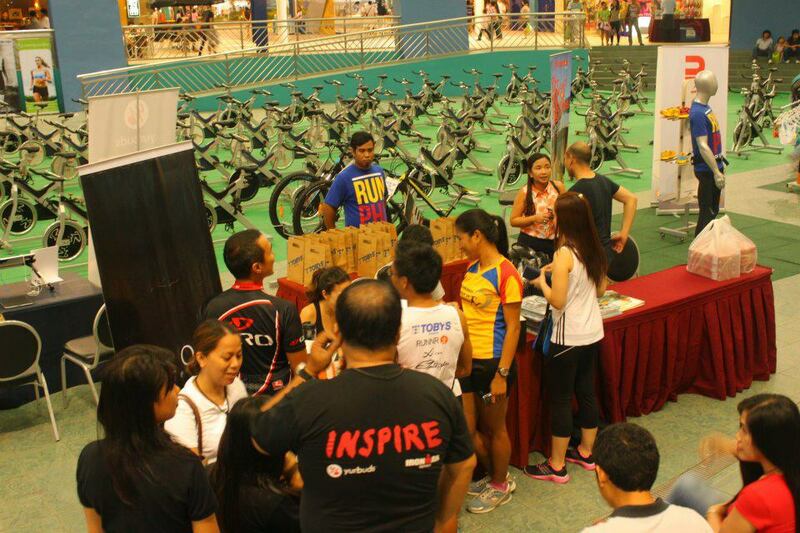 It was me at the registration area with Mam Christine Majadillas, Nylah Bautista, Elmar Bob Tole and Reujen Lista. 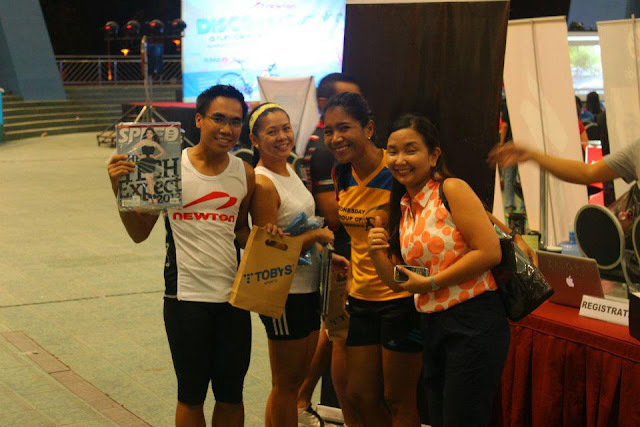 Happy to show their Loot Bags with the Magazines. With Vicky Ras a fashionist, blogger, writer, a model and an Ultramarathoner. 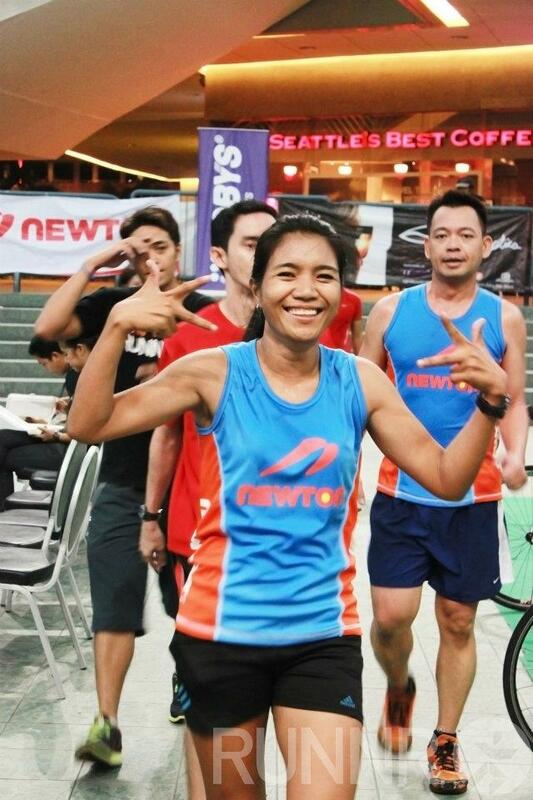 One of my idol in Running Community. Glad to see her here in the event. She was also invited by Mam Tin. We were posing on her Picture located in Toby's. 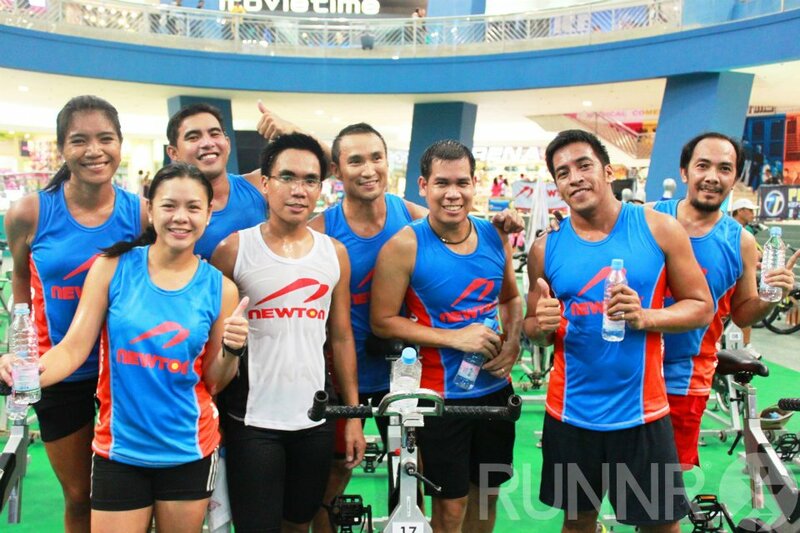 Heres some of the participants who attended the Duathlon Clinic. 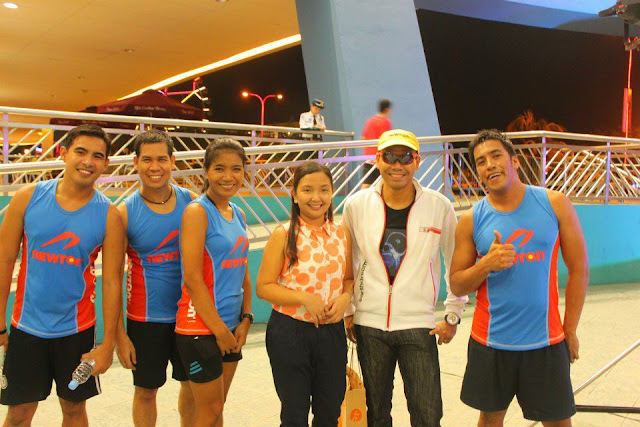 Beside me was Russel Hernandez, Emil Rebano and John Bueno. And the Clinic Begins by Host Speaker Coach Andy Leuterio discussing about the proper form in Duathlon what to expect, and what gears are needed, he was also discussing the difference about Road Bike, and A Time Trial Bike or a Tri Bike. 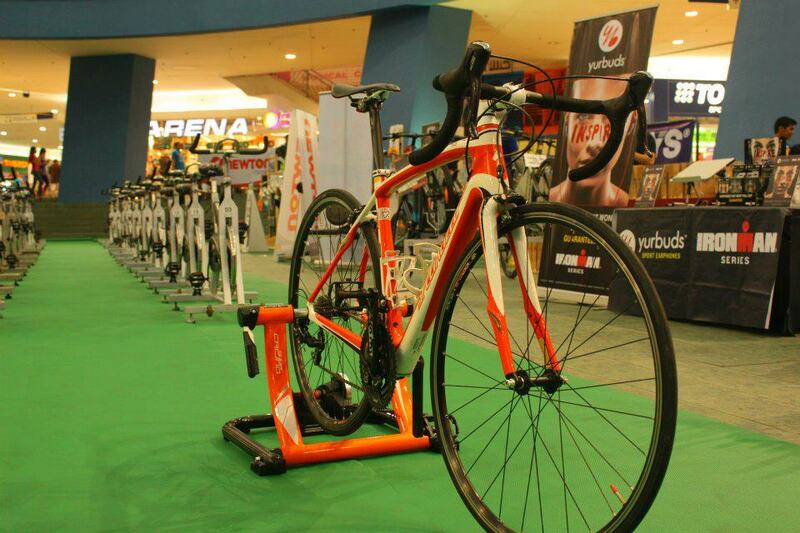 Now i can tell which is the Road bike and the Tri-Bike, Before i was really confuse with both. 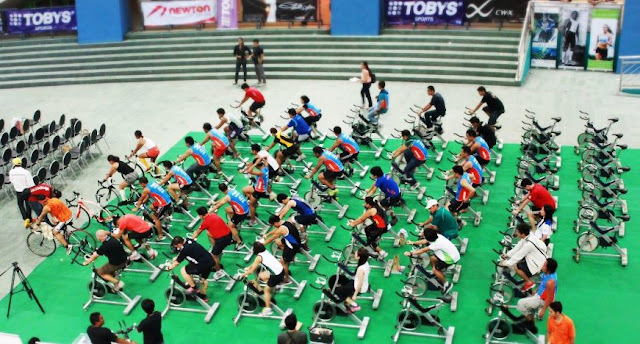 Runners have to get their own bike and position and listen to the music and follows Coach Andy Instructions.Every body is so seriuos doing this stuff, even i was so serious because it is my first time to do it and i want to have a bike already so i can train for a duathlon. Runners find their own bike and enjoyed biking while listening to a disco music. After the not so tiring Bike Run Bike but look at our sweat its not pretty obvious though but it was fun and more fun because of the exercise we did during the 30minutes work out. 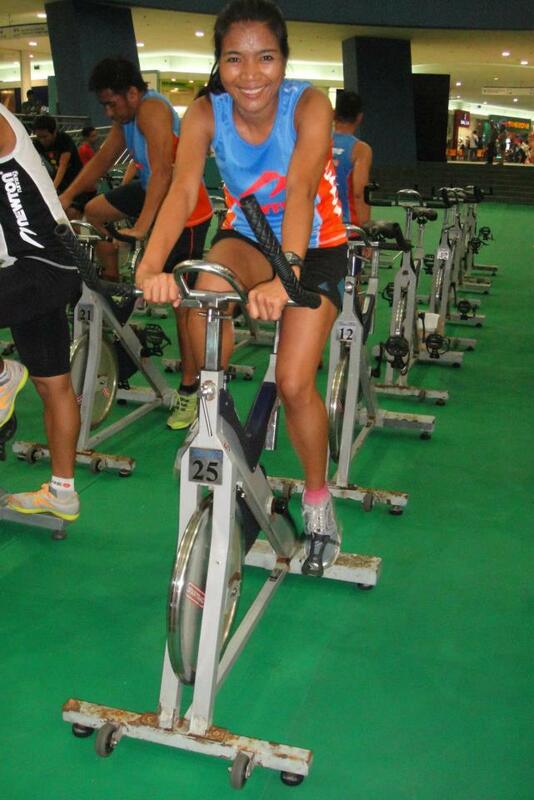 Everybody enjoyed it and after the training, we still managed to smile in front of the camera. 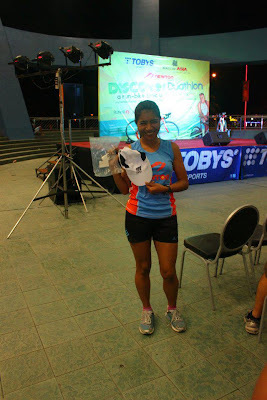 The Photo on the left was the CEP Cap im holding. Won in the raffle again .The photo on the right side was just came from the run and showing the photograher i rocked the bike-run-bike clinic. After the training these three have something spices to add up. They called the winners who wears the most nice outfit in Disco Duathlon which was Daisy and Joanne. 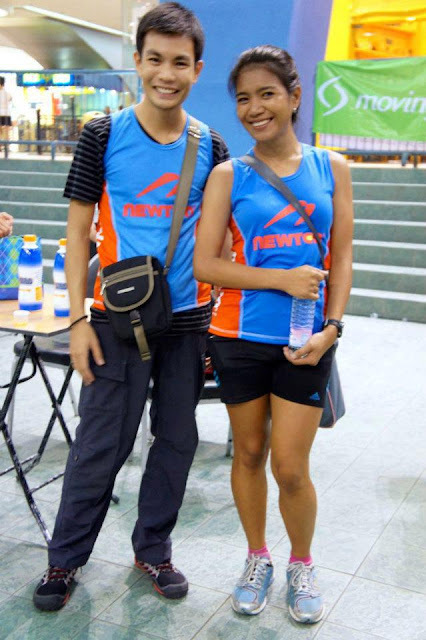 The Two Triathelete from Team Total Fitness. Heres the members from Team Runnr Academy with Julito Jojo Pauly our Official photographers and Rale Rodriguez and John Bueno the pacers. We were not just learned something but we had so much fun and meet a lot of people who are very passionate in duathlon spotrs. Thanks for the invitation Mam Tin. and nice seeing with Sir Lawrence Again..
MILO APEX @ MOUNT GULUGOD BABOY!